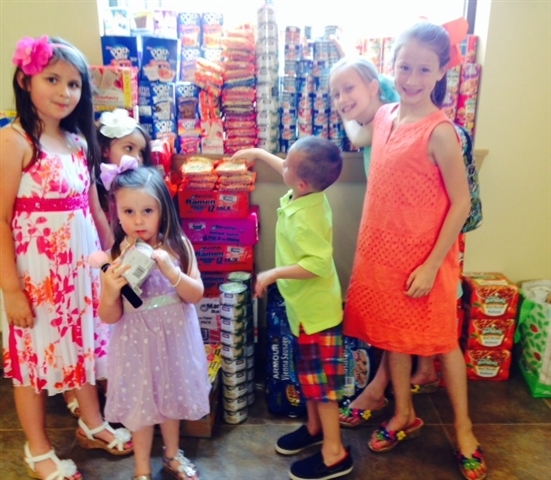 One in four children in Livingston Parish lives with hunger. During Lent, First United Methodist Church in Denham Springs collected canned ravioli, toaster pastries, Vienna sausages, canned chicken and Ramen noodles each Sunday to be distributed through Mighty Moms, a nonprofit organization feeding hungry children. The ecumenical team of volunteers started as group of mothers praying for their children. As needs came to their attention, Mighty Moms stepped up to provide sack lunches for Livingston Parish schoolchildren to take home for weekend meals. They progressed to a summer ministry that goes into impoverished neighborhoods in the parish, hosting Vacation Bible School-type activities, water games and providing food.